In 2014 was produced boat Sun Odyssey 469 named Alhena. This sailboat is based in base Salerno just a few kilometers from Latium And Campania in Italy. You can board up to 10 persons on the yacht Alhena. Layout of berths is 10 (8+2). There are 4 cabins placed under she's deck. Alhena is equipped with 4 heads with showers. Get more our offer by going to this section: Yacht charter Latium And Campania. In this vessel is installed motor 54. 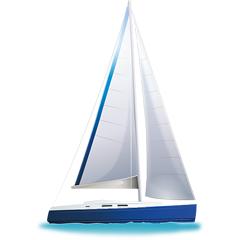 Sun Odyssey 469 Alhena is equipped with: Bimini top, Anchor electric windlass, Autopilot, Gps plotter, Radio / cd player, Bow thruster, Mainsail with lazy jack. . Security caution accounts for 3000.00 EUR. Search for our offer in section: Yacht charter Salerno.